Washington, DC — The Financial Industry Regulatory Authority (FINRA) Investor Education Foundation and United Way Worldwide (UWW) have announced nearly $1.5 million in grants to 12 recipients to extend the reach of community-based financial education programs across the country. The grants were awarded by the FINRA Foundation as part of a new program, Financial Education in Your Community, which is administered jointly with United Way Worldwide. In 2008, United Way focused its strategic leadership efforts on impacting the well-being of the nation's communities and announced an ambitious 10-year goal of cutting by half the number of lower-income families that lack financial stability. "We are proud to partner with United Way to expand the ability of community-based organizations to provide unbiased financial education resources and innovative programs for hardworking individuals and families," said FINRA Foundation President John Gannon. "Community groups have a unique opportunity to reach their neighbors with the information they need to make sound financial decisions that help them save and grow long-term assets." One- and two-year grants were competitively awarded to local United Ways and other non-profit community groups that will undertake creative projects to help identify best practices for providing working individuals and families with the information they need to take action toward increasing their financial stability. The projects leverage strategic partnerships and successful existing programs, and target a diverse group of clients from areas of the country that have been hit hard by the economy. "United Way is committed to helping working individuals and families overcome the financial hardships caused by today's difficult economic conditions," said Brian Gallagher, President and CEO of United Way Worldwide. "We are pleased to partner with the FINRA Investor Education Foundation to bring critical financial education resources to underserved communities and help families start down the path toward financial independence." Suffolk University Law School, Boston, Massachusetts. The FINRA Foundation chose these law schools because they are well-positioned to launch and maintain clinics that will allow supervised law students to take on securities disputes. As a condition of the grant, each law school was required to demonstrate institutional support of the clinic beyond the three-year grant program and provide investor education and outreach in their community. Students who participate in these clinics will not receive compensation, but will benefit from serving the public interest, earning course credit and gaining experience representing clients in actual cases. "These grants will significantly expand the geographic reach of securities advocacy clinics available to investors. All four law schools will use these start-up grants to create dynamic clinics that provide a real service to investors in their communities," said FINRA Foundation President John Gannon. These grants build upon the success of previous FINRA Foundation efforts to support securities clinics. In 2004, the Foundation funded the first securities arbitration clinic in the Midwest at Northwestern University School of Law. Northwestern also developed a guidebook for establishing law school investor advocacy clinics. 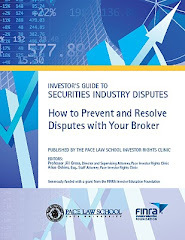 In 2006, the Foundation funded a grant to the Pace Law School Investor Rights Clinic to develop and distribute an educational guide to help small, individual investors understand their legal rights and responsibilities in order to avoid disputes, or seek resolution through arbitration or mediation. Both of these resources will be used as part of this grant program. The FINRA Investor Education Foundation is the largest foundation in the U.S. dedicated to investor education. Its mission is to provide investors with high quality, easily accessible information and tools to better understand the markets and the basic principles of saving and investing. To further this mission, the Foundation awards grants to fund educational programs and research aimed at segments of the investing public who could benefit from additional resources. Since inception, the FINRA Foundation has approved nearly $50 million in financial education and investor protection initiatives through a combination of grants and targeted projects. For details about grant programs and other FINRA Foundation initiatives, visit www.finrafoundation.org. Several Democratic congressmen and one Republican have introduced legislation aimed at increasing the pool of Ponzi scheme victims eligible to receive restitution from the Securities Investor Protection Corp. The Ponzi Scheme Investor Protection Act (H.R. 5032) would require SIPC to provide up to $100,000 worth of insurance coverage to “indirect investors” in Ponzi schemes—that is, people who invested through feeder funds or other indirect sources. At the same time, however, indirect Ponzi investors who received a SIPC insurance payment would waive their right to sue the feeder fund. SIPC, created by Congress, maintains a special reserve fund to protect customers of insolvent brokerage firms. According to an April 15 release from Rep. Gary Ackerman's (D-N.Y.) office, SIPC currently provides coverage to direct investors. Besides Ackerman, the other primary sponsors of the bill are Democratic Reps. Ron Klein (Fla.), Dan Maffei (N.Y.), Ed Perlmutter (Co.), and Jackie Speier (Cal. ), and Republican Rep. Peter King (N.Y.). Under the bill, however, SIPC would be prohibited from such action “unless the bilked investor was proven to be complicit or negligent” via their participation in the scheme. Ackerman said the provision also would be extended to cover the decisions of trustees appointed to liquidate assets in the large Ponzi schemes already uncovered. The lawmaker noted this provision would cover, for instance, Irving Picard in the liquidation of Bernard Madoff's assets. This may be considered Attorney Advertising in your jurisdiction | Prior results do not guarantee a similar outcome. This site is not intended to create an attorney-client relationship. The site’s content is provided for informational purposes only and is not legal advice. You should not take action based on this information without first consulting legal counsel. Hiring a lawyer is an important decision and should not be based on any one source of information, including the advertising on this site. You may request additional information, and are encouraged to review other sources of information about the firm. All states and jurisdictions have laws to make it unlawful for anyone to hold themselves out as attorneys unless admitted and licensed to practice as an attorney at law. Some jurisdictions may consider this site to be advertising. The information on this site is not a solicitation in any state where the Firm’s attorneys are not admitted and licensed to practice, or an exception exists, such as FINRA arbitration. Hiring an attorney is an important decision; it should not be based just on written information about qualifications and experience or advertising. The content on this site are provided for informational purposes only, do not constitute legal advice, do not necessarily reflect the opinions of Ed Pekarek, Esq. and is not guaranteed in any way to be correct, current, complete or accurate. This site does not and is not intended to create any attorney-client relationship, and you should not act or rely on any information in this site without first seeking an attorney’s advice. We affiliate with attorneys licensed to practice in a number of states throughout the U.S. These attorneys represent clients in state and federal courts where they are allowed to practice by law, and in dispute resolution proceedings where permitted by law. If you communicate through this site or otherwise in connection with any matter for which we do not already represent you, that communication may not be construed as privileged and/or confidential and does not create an attorney-client relationship between you and us. If you communicate with us by e-mail in connection with a matter for which we already represent you, be aware that e-mail is not always secure and you should avoid sending sensitive or confidential Internet e-mail messages unless they are adequately encrypted. If you would prefer to contact us by telephone, our toll-free number is 855-PEKAREK (735-2735). If the state attorney rules and regulations in your jurisdiction require us to designate a principal office and/or single attorney responsible for this site, we designate the principal office as New York, and designate Ed Pekarek as the attorney responsible for this site. We may discontinue, change, amend and/or suspend this site at any time for any reason, or no reason at all, without notice or cost. 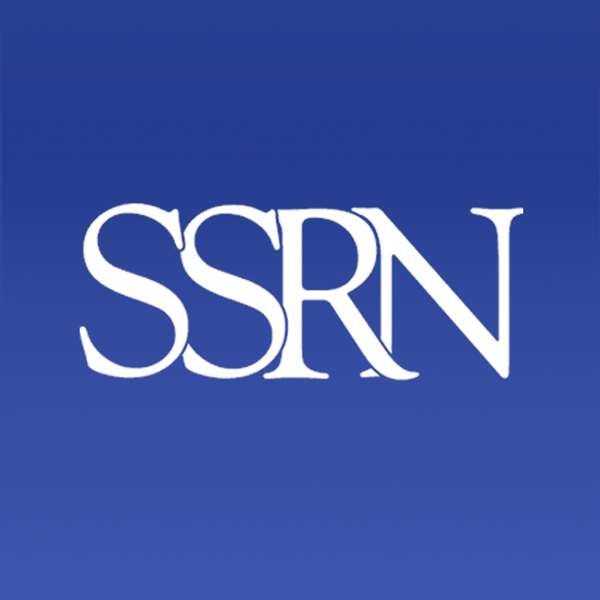 The site may become unavailable from time-to-time because of maintenance needs or software/hardware/telecommunications malfunctions or possibly for other reasons. If you require more information, please contact us at mail@edpekarek.com. Site maintained by Attorney Ed Pekarek. © 2014. All Rights Reserved.. Simple theme. Theme images by Petrovich9. Powered by Blogger.